Put this combo in your lineup and see what happens. 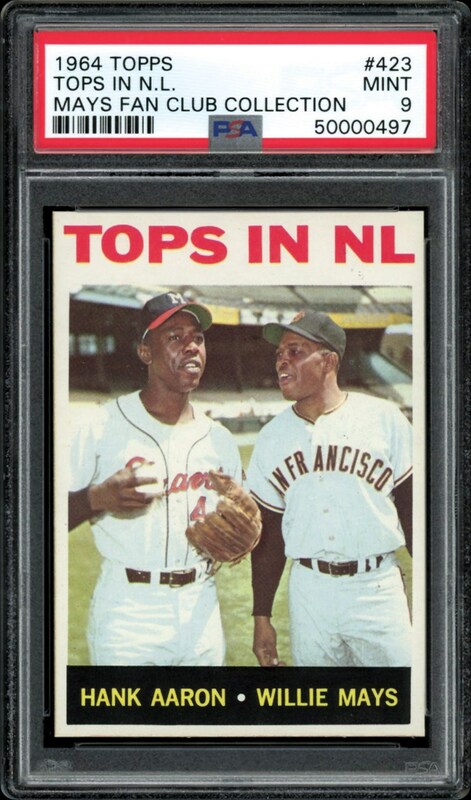 Two of the games greats, Aaron and Mays highlight this 64 Topps card. 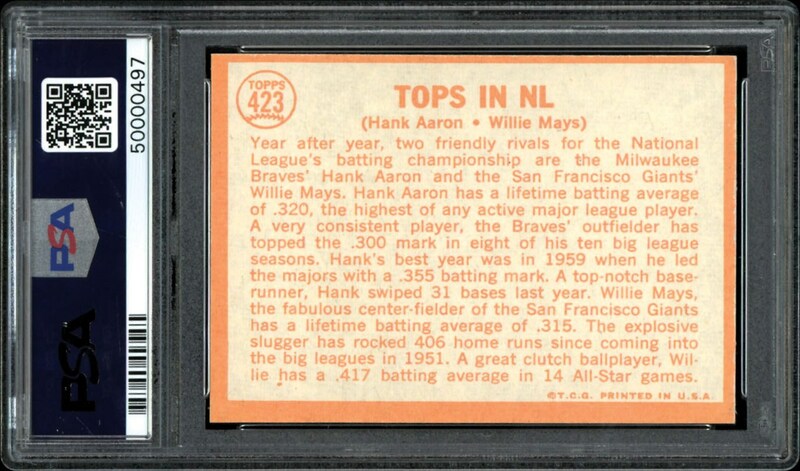 Nothing grading higher makes this one to watch!! !